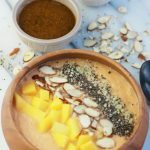 Mango Papaya Smoothie Bowl, gluten-free, soy-free and oil-free, one of the many delicious recipes you will find in Bold FLavored Vegan Cooking. If you are vegan, vegetarian or just want to add more plants to your daily meals and love bold flavors, I’ve got the book for you. 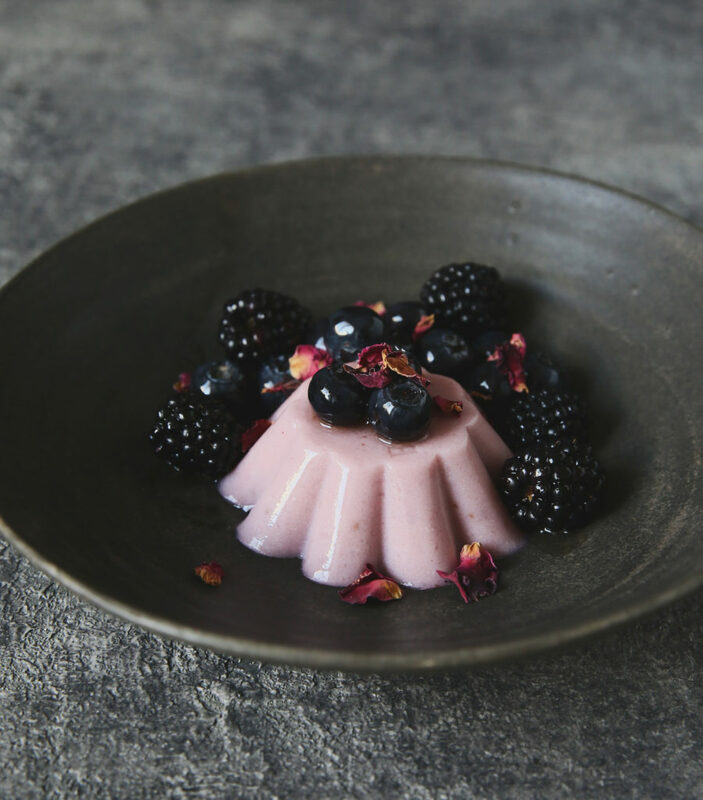 Bold Flavored Vegan Cooking, authored by Celine Steen, who also co-authored The Complete Guide to Vegan Food Substitutions, is proof that meatless meals don’t have to be bland or free of flavor. Celine has an unbelievable way of combining umami-rich ingredients like dried shiitake mushrooms, tamari, matcha, and aromatic spices that scream bold. 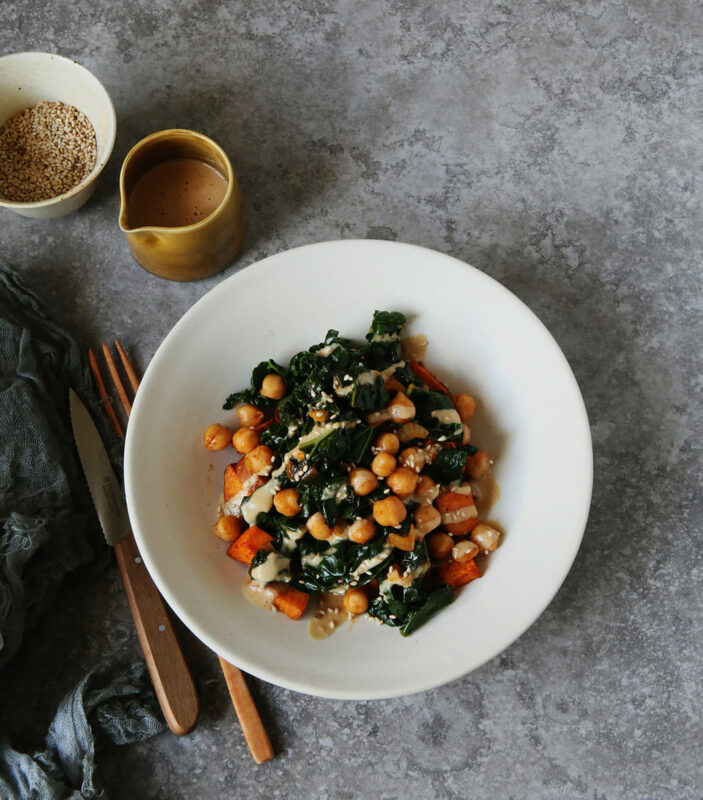 In Bold Flavored Vegan Cooking you’ll find gluten-free, soy-free, and oil-free recipes, as well as recipes that can be prepared in 30 minutes or less. 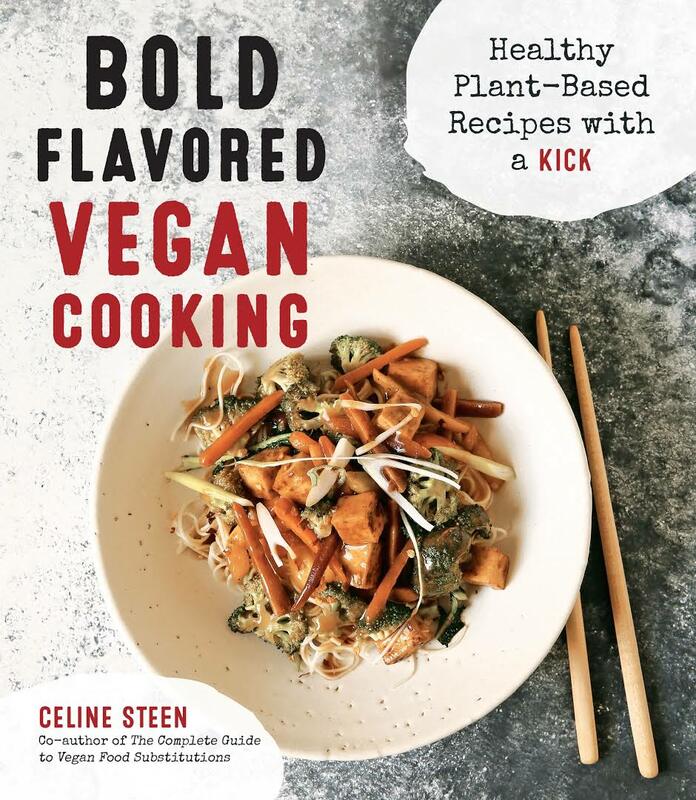 Here are just a few of the bold-flavored vegan recipes you will find in Celine’s new book. 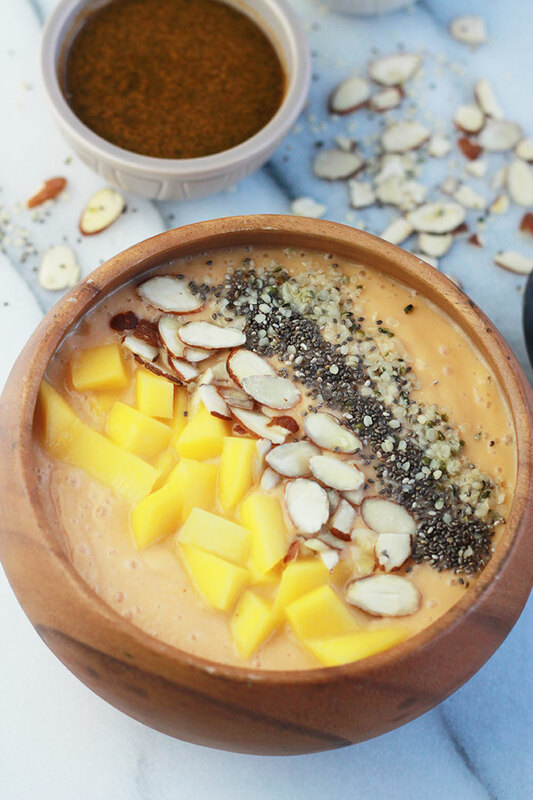 One of my favorites is the Mango Papaya Smoothie Bowl, so delicious. I like to top mine with almonds, chia, hemp and diced mango. The syrup that accompanies this smoothie bowl adds a unique and mild kick. It’s also great over oatmeal. With the holidays approaching you may want to pick up a copy to gift to someone on your list or get it as a special gift to yourself. To make the syrup, stir together the agave, lemon juice, ginger and turmeric in a small mason jar. Cover and let stand while preparing the rest. 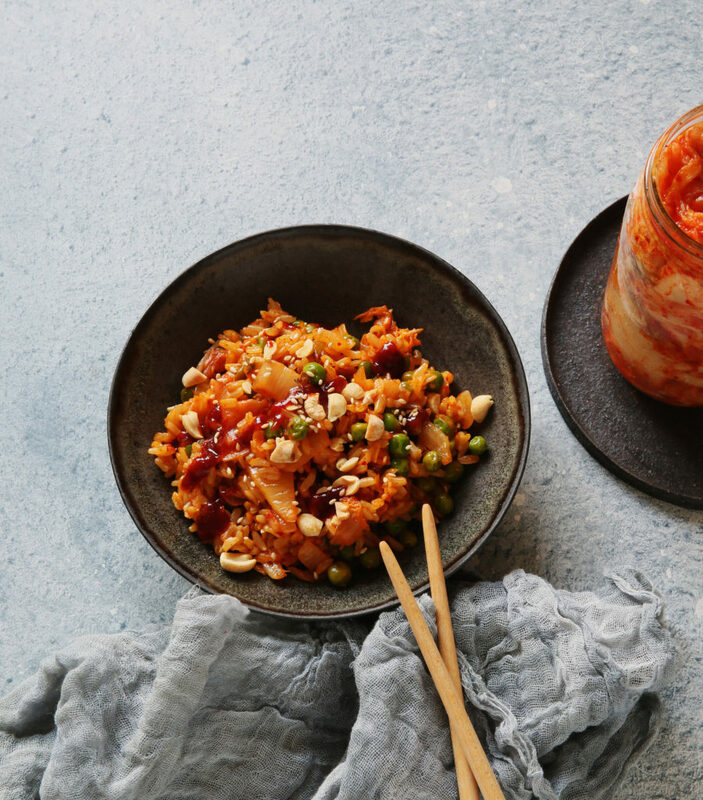 The syrup can be stored in an airtight jar in the refrigerator for up to 2 weeks. Stir again before use. To make the bowls, place the mango, papaya, banana, coconut milk and lime juice in a blender. Blend until perfectly smooth and combined. Transfer to two bowls. 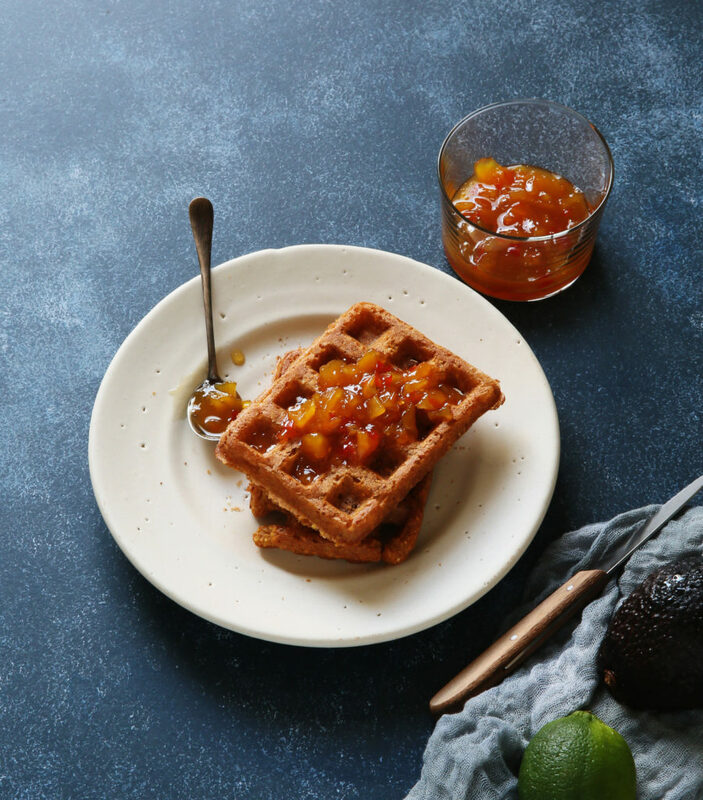 Drizzle with syrup to taste, and cover with your toppings of choice. Serve immediately.